Not every adult party is based around getting drunk. All occasions can be fun and clean. Some parties, like office parties, mandate it. Regardless of the type of party you are having, everyone needs entertainment and some moments of pure, clean fun. Games are typically hosted at children’s parties, but adults also enjoy them. Games at adult parties get everyone involved and are amusing to watch. The charade relay race is a game combo. Pick one theme of things to act out, or choose completely random items. Make a list to ensure a fast pace. Divide the party into two even teams. The host will tell players what to act out. Make sure the host stands far enough away from the team members so they can’t hear the clues. Each player on the team takes turns running from their squad to the host. The next person in the relay runs after the team correctly guesses the clue. The first team to correctly guess each player’s clue wins. Faster runners save time in this charade race. Remember, charades is silent. To make the game quicker, set up a key in the beginning. For instance, in classic charades, one of the categories is movies; you motion a movie reel with your hand so your team knows it’s a movie title they will be guessing. Set up a game of tower building. Adults love competition, especially when you create teams by gender or couples. Use whatever is on hand to build: Lincoln Logs, dominoes or marshmallows with toothpicks. It’s best to set people up in teams so the host needs to buy supplies only for two or three teams rather than 10 or 12 people. Put a time limit of 15 minutes on the construction, and see who can create the tallest and sturdiest tower. 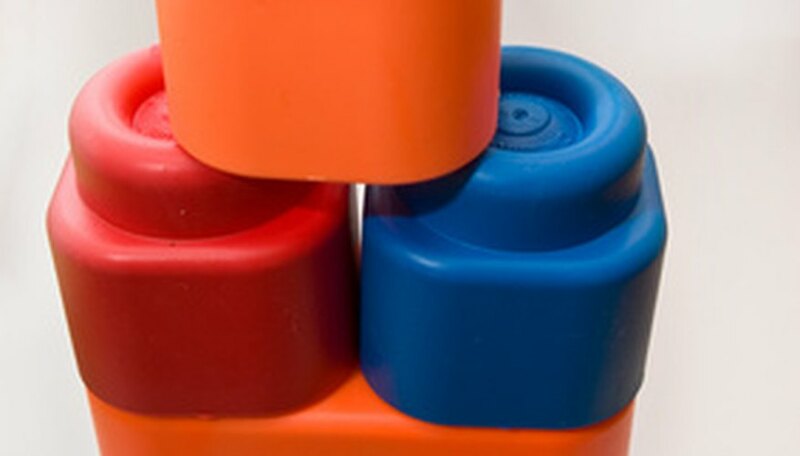 Test the towers' durability by crashing toy cars into them.